With so many excellent platformers available on Switch, picking something out from the overwhelming selection can be hard. The platforming genre has a very strong pedigree on Nintendo systems going all the way back to the original Super Mario Bros. on NES. Over the years that followed other developers mastered the grammar laid down in that game and the genre ballooned, spawning countless side-scrolling jumpers and a tangled web of sub-genres. There are flavours to suit every conceivable 2D platforming taste and plenty of room for debate about how they should be categorised. Below you will find our picks for the best 2D platform games currently available on Switch. This selection is presented in no particular order and will continue to grow and evolve over time. We have separated out what we consider to be the best Metroidvania-style platformers onto another list, giving both collections more room to breathe without becoming ridiculously large, so check that out if you like your platformers a little less left-to-right than the selection we've chosen here. As well as playing host to plenty of new games, Switch has become a repository for many of the best platformers in recent years, usually presented in souped-up 'Deluxe' editions featuring DLC and other goodies. 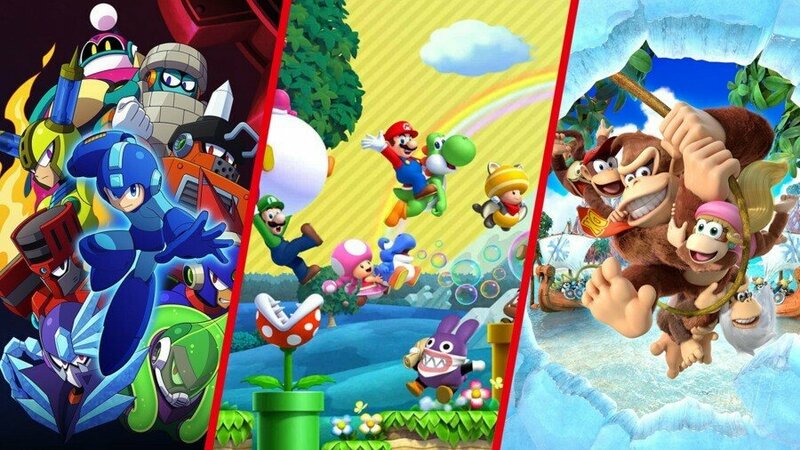 You'll find several of those here and we're very happy to include them; Switch is an ideal way to check out games you might have missed last generation, and all of the ones below that originally saw release elsewhere really sing on the handheld. 3D platformers will no-doubt have their own time to shine in due course, but without further ado, we present for your enjoyment and amusement our selection of the best 2D platformers currently available on Nintendo Switch. Celeste is an exemplary amalgamation of style, mechanics and character. A devilishly brilliant action platformer with enough skill required to excite genre purists and the speedrunning community, while at the same time featuring a breakdown of gameplay elements to customize and cater for all audiences. While the game mechanically is great, if familiar, the art style and narrative are truly special, showing both a visual and emotional range and depth that will resonate and inspire. Celeste is the absolute peak of personal exploration and discovery on Nintendo Switch. 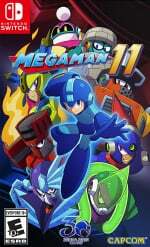 Mega Man 11 is an excellent resurgence for the Blue Bomber, imbuing the tried-and-true classic gameplay with modern touches and new ideas that expand on existing concepts in interesting ways. The underlying action platforming gameplay is just as tight and challenging as you remember, and when combined with the new visuals and extra options for replayability, you’ve got a game that’s every bit as good as those that came before, while surpassing them in some ways. Mega Man 11 is a modern classic, a fitting refresh for a beloved series, and we’d highly recommend you add this one to your Switch library whether you’re a newcomer or you’ve been playing since the NES days. Bravo, Capcom. 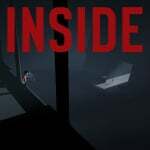 Inside is a grimly beautiful puzzle-platformer that, while brief, is packed full of jaw-dropping highlights. While its dark tone won't be for everyone - it's certainly not a game for very young or squeamish players - it's all been executed brilliantly, with gently taxing physics-based conundrums woven into a haunting wordless narrative. It doesn't waste a single second of your time and is entirely free of pointless padding and dull repetition; there are more memorable moments packed in here than in most games three times the size. Limbo remains a brilliantly moody and expertly poised platform-puzzler all these years after its original release. It might be a little stark, but it's dense with ingenious physics puzzles and weighty platforming challenges. It's the perfect companion piece to Inside, and a brilliant game in its own right. 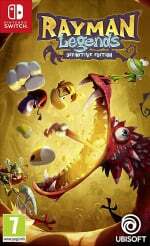 Despite its ‘Definitive Edition’ moniker, the vast majority of what you get in the Switch version of Rayman Legends has been seen in every other edition. The only truly new features here are a complete character roster for the first time and a tournament mode for its football mini-game. That’s not to say it's a bad game; that couldn’t be further from the truth. It’s one of the best plumber-free platformers ever made, and its budget price means if you haven’t played it before, this is the perfect time to jump in. 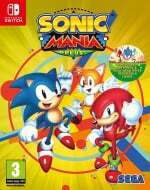 Sonic Mania is a true return to form for the mascot, in his 2D 'Classic' guise at least, and celebrates the glory days of the original games while also enhancing their qualities and taking on new ideas. From new areas, imaginative second acts and some delightful boss encounters, the development team poured a lot of passion and talent into the project. With new characters and modes added in the 'Plus' version, some neat tweaks iron out some of the kinks present in the original release, but regardless of the version you pick up, it's of the best 2D platformers of recent memory. 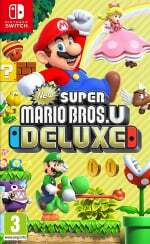 New Super Mario Bros. U Deluxe is an impressive package, offering the best of modern-era 2D Mario, madcap multiplayer and glimpses of the outrageous invention that was to come in Super Mario Odyssey. The chance to replay a top-drawer Mario game on a handheld is tantalising, although gameplay aside, ageing visuals and the irritation of being kicked back to the world map after every death stand out as things that could have been improved. The bottom line, though, is that Switch has a very fine 2D Mario to its name. Shovel Knight has always been excellent, but bundling these three chapters together and including new functionality increases the attractiveness of an already incredibly compelling package. 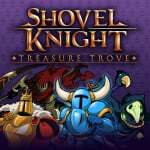 These games are fantastic, and having the complete Shovel Knight experience in one spot, clocking in at around 15 hours of gameplay in our case, makes this a must-have for Switch owners - especially those that have so far failed to dig into this game and its add-ons. We’re very careful when we use this word, but Gris is a masterpiece. Its jaw-dropping visual style and heart-wrenching score combine for one of the most emotional pieces of interactive art you’ll ever play. It may be too short for some, its puzzles may be on the simple side and the lack of any real challenge may not be to everyone’s taste, but this is a game focused more on fragility than ability and as long as you’re willing to go along for the ride, it’s one that will stick with you for a very long time indeed. 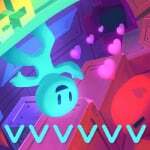 VVVVVV is a unique platformer in many ways - one that lacks a jump button for starters - and it feels every bit as fresh on Switch as it did in its original form on 3DS; if you didn't try it back then you should definitely pick it up now. Even if you did, it's well worth revisiting - multiplayer makes the Switch version even more interesting, and this is a game that still serves up an intense and enjoyable challenge. VVVVVV is fantastic value and a great addition to the Switch library. 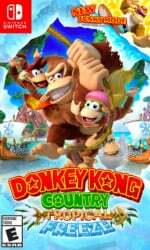 There's no doubt about it, Donkey Kong Country: Tropical Freeze is one of the most refined and enjoyable platformers money can buy. The levels are all beautiful, the characters move with fluidity and brilliant responsiveness, and the inclusion of Funky Kong brings balance for those who have less experience with brutally tough platformers. It’s so well-made that it’s almost too well-made; there's an absence of a certain 'rough-and-ready' charm found in the original DKC trilogy. This is, however, a complaint so minor it's practically insignificant. Donkey Kong’s first appearance on Switch is streamlined, rewarding, and immensely good fun; any fan of 2D platformers simply has to get this game. Some excellent platforming picks there, we're sure you agree, and there are plenty to choose from. Feel free to discuss your favourites below. Pretty much agree with everything except for New Super Mario Bros U Deluxe being on the list since it's pales in comparison to the other games like Donkey Kong Tropical Freeze, Celeste, and Sonic Mania. I must love 2D platformers more than I realized, I own and have beaten 8 of the 10 listed on Switch! This list is an insult. Both super mario bros and super mario bros 3 are on the switch, but not on this list? OMG. Celeste is an utter masterpiece, quite possibly the greatest platformer I've ever played. Incredible and innovative level design, beautifully creative art direction, and an immensely emotional storyline. It's the perfect blend of gameplay and story. If this list were ranked I would definitely place it at number 1. Excellent list...it’s missing The Messenger though. Should've waited until June so you could replace NSMBUD with Mario Maker 2. @Marios-love-child I think you're joking right? 2 are exclusively Wii U ports. Best 2d platformers on the Switch? The only platformers on the Switch are in 2d. where is Shantae Half-Genie Hero? Who the hell clocks Shovel Knight in 15 hours?? The whole Treasure Trove took me longer and more deaths than I'd like to admit. Still one of my all time top 5, though. 2019 and there are still so many 2D Platformers on modern hardware and some are even $60. @Crono1973 yeah. And Shovel Knight is so good I am gonna buy it again with the physical release. @imgrowinglegs I was thinking the same but I think NL class it as a Metroidvania (which it is in parts) despite a good chunk of the game being a straight up traditional platformer. For me, the best 2 games on this list are Inside and Donkey Kong Tropical Freeze. I couldn't choose between them as they're both so different. It's good to see DKTF even make the list this time. It unbelievably never made NL's 'Best Switch platformers' list a while back. 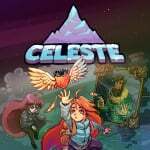 I know I'm gonna get hate for this, but I haven't played Celeste because I couldn't get past the graphics. I've heard it's amazing and I'm no graphics whore by any means, but Celeste's art direction just does not jive with me. It looks like an Atari game. Any thoughts on this? @invictus4000 The graphical style definitely grows on you as you play. It's not as basic looking as it first seems, there's some really cool effects and set pieces. There’s not that many 3D games on the switch. @brunojenso For some people, two are just enough. I think he was just making fun of those people though. I normally hate it when people try and boast online about how they found a hard game really easy or whatever, but I'm surprised that Donkey Kong Country: Tropical Freeze is labelled as "brutally tough". The same thing was said in NL's review of it. I really did not think this was a particularly hard game when I played it on Wii U. I'd say it has a pretty normal/well-balanced difficulty. If you want to say "tough" then OK, but "brutally tough" is a bit of an exaggeration that makes it sound like it's Dark Souls or something. I hope it doesn't put anyone off from buying it. If you're on the fence; it's a great game and is not "brutally tough". Also, if Mega Man 11 is here, then I think Azure Striker Gunvolt: Striker Pack should be (ie. if they're counted as platformers rather than shooters). I'd definately put it ahead of VVVVVV. @imgrowinglegs Yep, also the free Pirate Panic DLC should be out in a few months! woot. @Haywired The last 3 areas were hard as balls, though I was playing co-op which made it harder lol. I was also put away by Celeste's graphics at first. But after hearing so many good things about it, i got it in the last PSN sale and had a lot of fun with it. Gameplay and level design are killer. The story is sweet, soundtrack is amazing. The game is very fun! Why no Shantae and Super Meat Boy though? Platformers are awesome! I love Sonic Mania Plus, & Mega Man 11. I have DKC:TF digitally on WU, I had NSMB+SLU physically, & I didn't know VVVVVV was on the e-Shop. Oh, wait, you can't find anything on the e-Shop, because it's crowded with junk! Eventually gonna check out Celeste, and Shovel Knight. I had great time with Kirby's Adventure on the NES Online service. Also feel like SMB 2 is underrated, definitely on my list of best platformers you can play on Switch. What are best 3D platformer games then, Odyssey and Yooka-Laylee are there even more 3D platformers? @Haywired Tropical Freeze is brutally tough if going for full completion (200%), but I agree... Just a regular playthrough isn't anything crazy. I feel like N++ really deserves to be on this list. The physics of that game feel so good. The amount of content is beyond overwhelming. On a side note, I can't believe 1001 Spikes is still not on Switch. That's my favorite 2D platformer ever, and it was just about the first Switch game ever announced back before the system launched. I love it so much. Mega Man 11 is so damn good. @jobvd You have to have Switch Online to play them, though. Anyway, I would LOVE to play Celeste one of these days! I wanna try out Monster Boy, as well. Out of all the games being shown, Sonic Mania is my favorite, but NSMBU and Mega Man 11 are solid games too. DKC:TF is fantastic, as well. @invictus4000 I'm not going to disagree with you because I thought the same thing, it just looks like the same old platformer and same graphics as any other indie game. So I didn't pick it up at all but it became free with Gold and I was totally wrong about the gameplay, it's very unique and original. The graphics aren't amazing yeah, but when you are playing the game, you can't think about the graphics at all because you are just focused on trying to advance so it no longer bothers me at all. NintendoLife, where is Super Mario Bros. 2 on this list? Glad to see that Kirby star allies didn't make the list. The fact that HAL decided to throw that game, a 2D platformer in 30fps was mind boggling stupid. 😨 and I'm sure it's way too easy anyways. Can we finally get a 3D Kirby game already? Also, most of those games on the list are just Wii U ports but now in 1080p. They don't really count. Sorry. Mega man 11 and Kirby star allies are the only two big new releases that fall into the genre. Then there are other smaller-scale digital releases like The Messenger, Celest, Sonic mania and Hallow knight. Without the small handful of Wii U ports the switch's 2D platforming kind of looks a little lack luster. I need to try Gris and VVVVVV. I loved Sonic Mania, still mad that my local Gamestop only had ONE COPY of the Collectors Edition for preorder (and of course it was gone instantly before I could preorder it!). VVVVVV is a excelent plataformer. If you like plataformers, you need try Cave Story+ and KeroBlaster too. Another wich can be interesting is Blaster master Zero, which mix diferent gameplay types. Thanks for the info. I do have Blaster Master and enjoyed it. It's really sad to see that even in the 2D platformers genre Switch lacks so much. If we don't count ports which are available for years on another consoles, there's not so much to list. But everything will change in June when Super Mario Maker 2 will out. 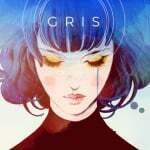 Will add GRIS to my wishlist, forgot about that one because some reviews were not as positive. Need to start hard mode on Tropical Freeze, that's where the "brutally difficult" must come from. @retro_player_22 @DragotheKomodo I am glad to see the Shantae love! That series is great! Tight platforming with great humor. Half Genie seemed a little shorter than Pirate's Curse, but still very much worth the price and the time spent. @invictus4000 I understand, there are some games that have graphics that I don't like and I simply will not play them. That said, Celeste is a masterpiece of platforming and I have played many platformers. Add to that a very good story, and it is in my top three platformers of all time. Great list however I wouldn’t call GRIS a masterpiece. Too much time was just spent holding down left or right on the d-pad. Was good but forgettable imo. @Marios-love-child @Quarth Thought so. I hope I didn't sound like I was on the attack either. I'm also pro ports. I'm actually hoping they port literally every single good game from Wii U. Why wouldn't people want that? I still have my Wii U but it's just such a fussy system to set-up and I don't have room for it set-up full time. I swear if they give us SM3DW, Pikmin 3, Metroid Trilogy and a Galaxy collection my Wii U is retired. LOVE/kuso I think warrant mentioning, too. Between Wii U and 3DS I have 40% of this list. Missed Rayman. On Switch I added sonic mania and double dipped fo shovel knight. Didn’t know VVVVVV added multiplayer, that’s cool. My favorite on this list is DK Tropical Freeze. I like NSMBUDX too (seriously that name though) but I can't wait for Mario Maker 2. That will jump straight to the top, no doubt. I'm normally not one to comment and say there's an issue with a list, but where the hell is the messenger?!?! My man @Liam_Doolan would back me up this! This list would've been good if it hadn't included Sonic and Mega Man. @DragotheKomodo Yes, which goes back to Risky's Revenge, another great one in the series! I do love Half Genie, i just wish it was longer so I could play more of it. Weirdly enough, check out this page that shows the the game appearing on both Wii U and NS but it only links you to the latter's updated version where it's now worth a nine. Ha! Jokers! The Gunvolt games are also really solid. No Trine on the list? I haven’t played it on Switch, but I liked it a lot on steam. I love Mario U, Mega Man 11, Donkey Kong TF and Sonic Mania Plus so much. They're some of my favorite games. Kirby Star Allies also rocks. @Balta666 are you referring to the 2d Mario Odyssey game. Or as some like to call it 2.5 game? @Balta666 Switch is not a 3d console and cannot display 3d games, only the 3ds can do that. Mario Odyssey creates a flat 3d look on a 2d screen. If it was 3d it would have 3d in the he title. Mario 3d World on the 3ds is 3d. I wouldn't have put Mega Man on the list. I know it has platform elements but I never really considered it a platformer. I always put in more into an action genre. Not that it is that important. Amazon in the UK have a BIGTHANKS promotional code active today only. Under the price of quite a few Switch games (and other items) there's a little Promotional Message badge "Save £5.00 on orders £25.00 or more". @Balta666 look it up on google. How do you play 3d games on a 2d console, you can't. Obviously you are new gaming. You are quite patronising as well as wrong. What ever you watch in 2d Is 2d, some games may create the illusion of 3d but that's all it is an illusion. Call it 2.5d if you like. The 3ds and movies where you wear 3d glasses create a depth of field and you see 'true' 3d. True 3d on screen. The only way to get real life 3d is to look around. Using words like troll and patronising does not make you right. Mario Odyssey is no different from Super Mario 64 in its use of creating depth, but Mario 64 is not and has never been referred to as 3d. Sonic Mania and DKC:TF are mandatory for any platformer fan. @jobvd They’re in the NES Online app, so I don’t think they technically count as Switch platformers. I'm not wrong, go ask your teacher. There are lots of wonderful games left out. Awesome list none the less.